In less than two weeks, the third iteration of Disney Interactive's dive into the "toys to life" videogame category hits stores. And if this past weekend's D23 Expo is any indication, it will dominate sales and show up on a lot of holiday wish lists. What sets this apart in excitement is Disney's ability to lead with a franchise that has seen a massive surge into the hearts and minds of fans -- if it ever really went away: Star Wars. 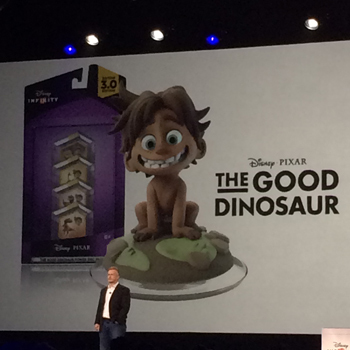 On Sunday, the Disney Interactive panel at D23 made announcements of new characters for Disney Infinity 3.0 -- including Spot from The Good Dinosaur, which game producers joked was the best character to defeat the Jedi. Or was it a joke? 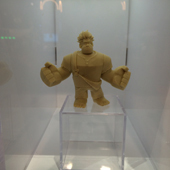 And, of course, the upcoming Zootopia will get two figures. 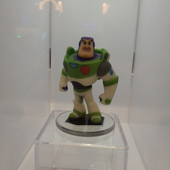 For the first time ever, Disney Interactive has had (some) fans vote on a new figure. 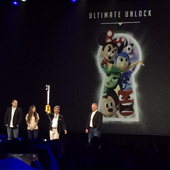 After holding a "Toy Box Summit" for those players who have consistently used the game to build exciting new worlds and challenges for the game community, Disney had them choose which character was absent from the game but belonged. Even though other sets and figures will be coming out, it's likely that gameplay in the first few weeks will be dominated by Star Wars. Sure, 3.0 includes "Toy Box Takeover," which will truly allow Disney, Marvel, and Lucasfilm characters to interact in an adventure, and "Speedway Takeover," which brings a game suspiciously and welcomely like Mario Kart to Infinity, but it's going to be all about Star Wars. And maybe Inside Out, which will provide the first side-scrolling effect in the game, as all of Riley's emotions have to traverse her subconscious and leverage their special abilities to gather memories and return to Head Quarters. I can't underestimate the power of that Pixar entry. Even the Marvel presence in this game had to take a backseat to that. Hulkbuster Iron Man and Ultron, despite being featured in one of the biggest movies of the summer, are being held back until November. long with a playset that will allow all the Marvel characters to be played alongside each other in the ultimate Infinity team-up, as well as expansion to four players possible at once online. But it's still all about Star Wars. 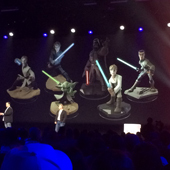 Disney Infinity 3.0 won't just feature playsets focusing on The Clone Wars era and the original trilogy. We're also going to get the first light-up figures in a few months, duplicating those that hold lightsabers but now ... lighting up. Though we couldn't see any gameplay from The Force Awakens, that, too, was announced on Sunday. 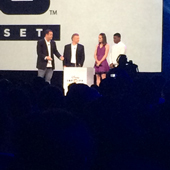 Cast members John Boyega and Daisy Ridley appeared, and were given their figures. Boyega seemed completely nonplussed. The actors would not keep the figures, though. Instead, they autographed them and gave them to two children in the audience, one dressed as Darth Vader and one as Princess Leia. Which, of course, has led to speculation that their characters, Finn and Rey, are actually Skywalkers. We'll latch on to anything. If you have a magic band from Orlando, the game will also unlock the "Partners" statue of Walt Disney and Mickey Mouse for your toy box. Once you have all the figures, you will also unlock a special weapon: the Keyblade from Kingdom Hearts. 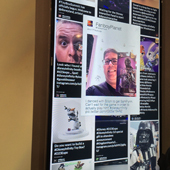 Out on the exhibition floor, Disney Interactive had a large footprint promoting Infinity 3.0, Star Wars: Battlefronts, Kingdom Hearts III, and their mobile gaming, still most prominently Frozen: Freefall, though the panel announced some interesting upcoming games. Most of the activity centered around Infinity, with lines wrapped around the booth and across a walkway to a carpeted waiting area. The purpose? 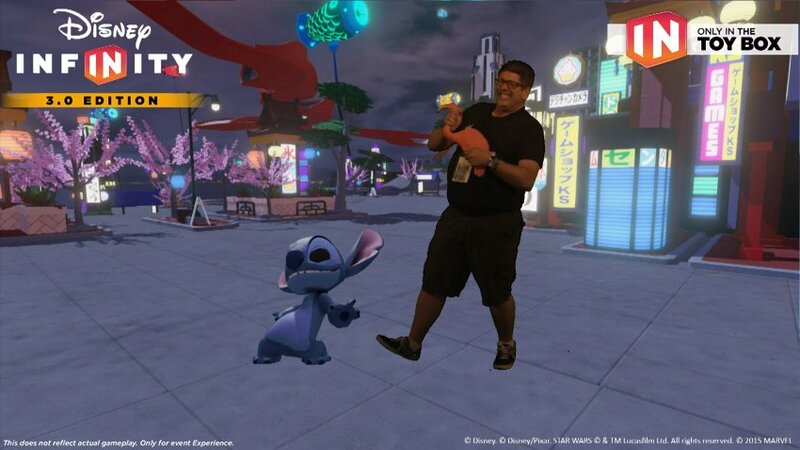 To actually interact with a character in green or blue screen, so that you can have a souvenir photo and a video. 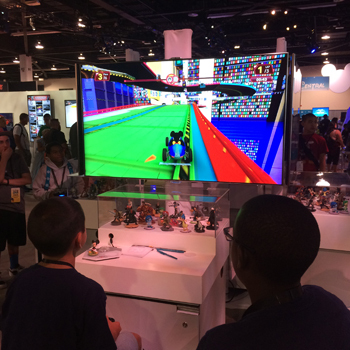 The booth also featured a chance to actually play the game, as well as look at concept art and maquette prototypes of the various figures. 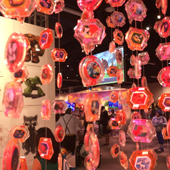 If you have way too many discs after buying so many blind bags, Disney also offered a creative solution for home decoration. 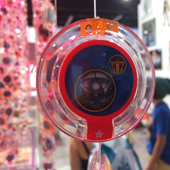 Thankfully, with Infinity 3.0, the blind bag has been eliminated, and you buy the discs you actually want. And of course, we want them all.